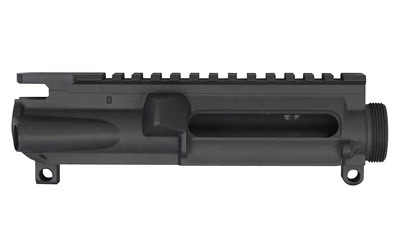 Forged upper is constructed from 7075 T6 Aluminum . One solid block of aluminum with no seams and no casting imperfections is going to always be stronger and last longer. That is what sets our uppers apart. The competition’s Forged cast uppers are molded aluminum, poured into a mold then machined with seams and casting imperfections. We do not do our uppers that way. 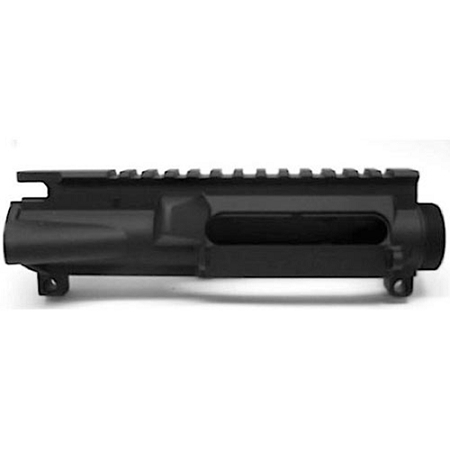 We have contracted with one of the premier machine centers in the country to manufacture this upper for us. 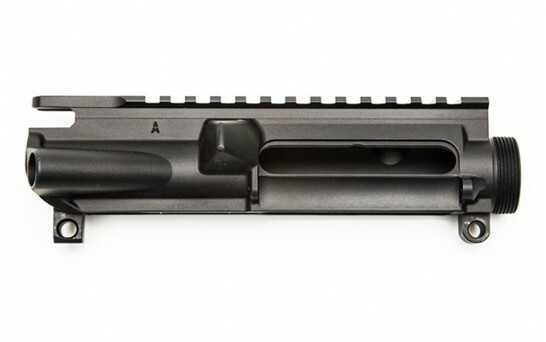 An ISO 9001 Major Firearm Manufacturer that makes AR-15 parts for the US Government makes these uppers for Omega Manufacturing Inc.
Made 100% in the USA and is one of the very few to offer a full lifetime warranty. 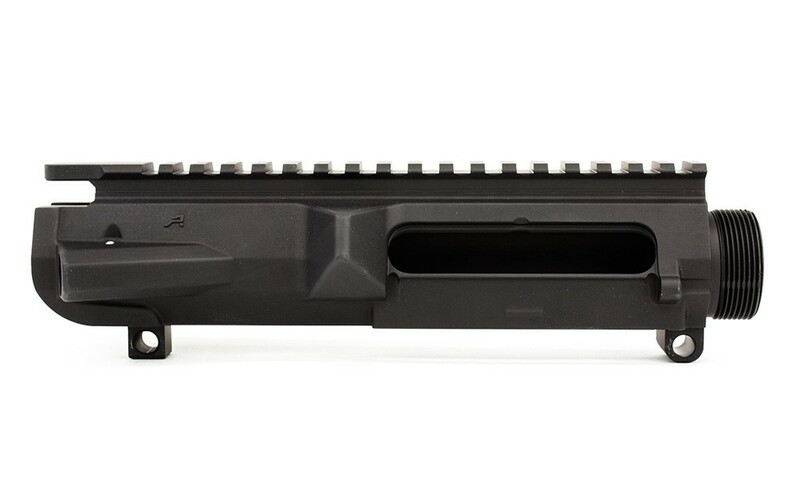 Finished in STD III Mil-Spec Hardcoat Anodization for flawless color match to most Mil-Spec finished lowers.